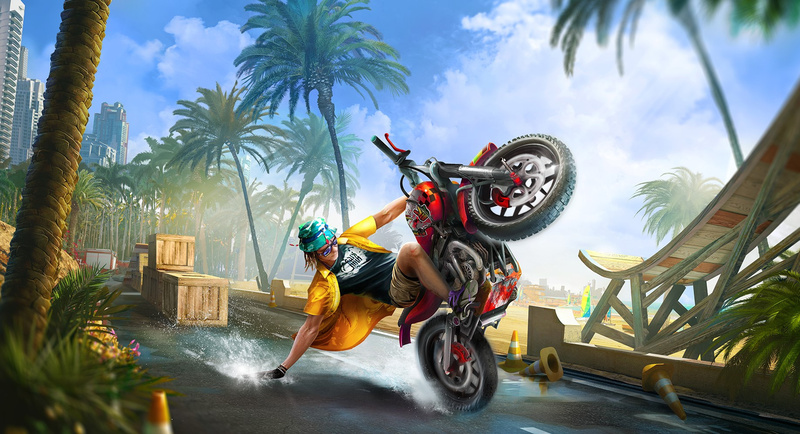 Nintendo Switch might not have the addictive self-torture of Trials Fusion on its platform, but it is getting the next best thing - enter Urban Trial Playground, a Switch-exclusive, physics-based stunk bike racer with an added surfer/beach-setting twist. 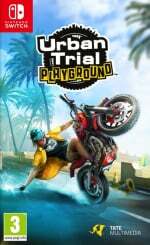 It's being developed by Teyon and published by Tate Multimedia, which previously brought Urban Trial Freestyle and Urban Trial Freestyle 2 to 3DS, so the studio knows its stuff when it comes to two-wheeled trickery. You can even play solo or tackle it in co-op with two-player splitscreen. There are also five bikes you can customise up the wazoo, and enough modes (including Time Trial and Ghost) to keep you flipping combos together to your heart's content. This just makes me want a new Excitebike. Seeing as Trials went a little downhill with Fusion, this becomes a lot more tempting. Awesome! I recommend everyone download the 3DS demos if you want to see how this game plays. It had some of the best visuals on the 3DS tbh so I expect this to look really pretty on Switch. I played the first one on PS3 and it was pretty good... never had any interesting in playing a game like this on 3DS... but Playgrounds looks like a worthy sequel as long as the controls and physics are proper. A sequel to Excitebike World Rally would be perfect for Switch... as well as MotoHeroz. I think this is great news because the Switch is lacking in this genre but I personally grow tired of these types of games. Ummm... No. I tried it a while back on my Android phone, and I don't know how they're going to do it on switch but the whole free-to-play model is just awful, and I didn't think the game was all that fun to begin with we will see what happens when it comes out. "a Switch-exclusive, physics-based stunk bike racer..."
Will wait to see what camera options it offers. This side on view just doesn't seem vey immersive to me. I love Trials. One of my favorite game series ever. But every game that tries to knock it off just fails to capture the magic. @Raiko What do you not like about Trials Fusion? I think it's the best in the series. It was a little light on content at first but the DLC more than made up for that. The 3ds games were fun and competent alternatives to trials, this is pretty cool news. Is stunk bike racing exclusive to the switch as well? Joking aside, this does look pretty good. Enjoyed the first game on 3DS, only played a little bit of the second one. Will keep my eye on this one. @sketchturner I found the track design to be lacking. Its too easy for most of the game and then a touch too hard ast the end. The DLC didn't really improve on that. The stunt challenges were really poor and the visuals were far from appealing. I still love the first two games, though.